Looking at the work of the much admired Scottish Colourists, Jenny will help you to develop bold and vibrant compositions using thick paint and confident brushstrokes. Day One will be painting a still-life against a landscape using natural light, capturing light and shadow and using crisp outlines and structured composition. There will be an emphasis on using paint thickly and expressively with bright contrasting colours, thinking about pattern and loose brushstrokes and over turning studio conventions. 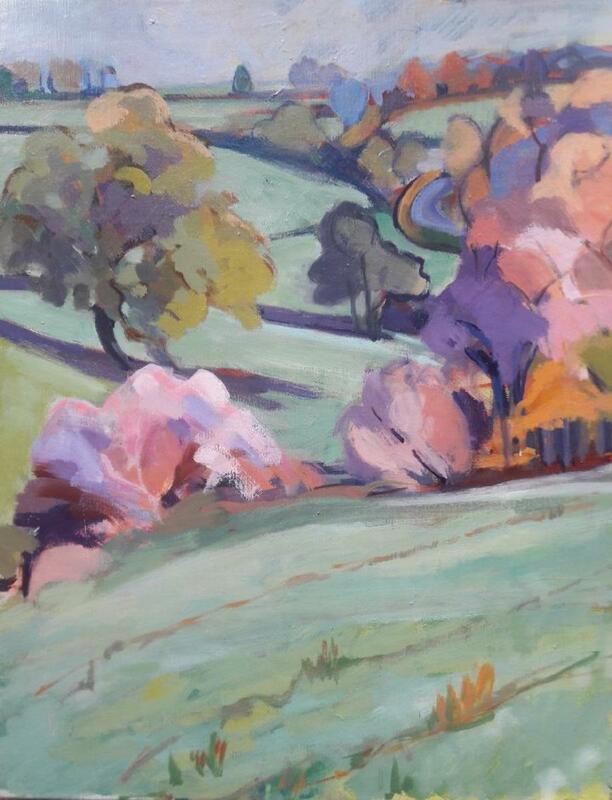 Day Two will concentrate on landscape, showing students how to simplify the landscape and focus on exuberant colours using paint in an expressive, bold way to capture that joyful ‘art for arts sake’ spirit of the colourists. Students will be able to take advantage of the stunning views and gardens at the gallery. Suitable for all levels. Originally from Scotland, Jenny studied at Signora Simi’s studio in Florence, the Byam Shaw and the Central School of Art. She is a hugely experienced tutor in great demand having run painting courses at both West Dean College and Pallant House Gallery over the last 15 years. Now retired from West Dean we are very lucky to have lured her to the gallery. www.jennytysonpaintings.co.uk. ‘I learnt so much on the course, Jenny has got me painting again and given me the confidence to keep going forward.’ a previous student at Moncrieff-Bray.